My name is Kevin… I have been playing Video Games since I was 3..My first System was a Magnavox Odyssey 2 (w/ voice box!) and the NES entered my life at the age of 9…I have been collecting for about 10 years now and have owned at one point or another every major system released since the original NES..music and film and video games are my Passions.. 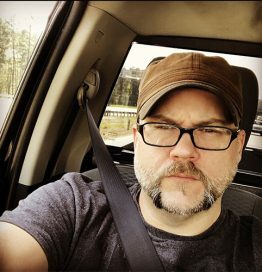 I am a musician and actor and Sound Mixer/Boom Op in Atlanta ..you might have seen me on tv..or touring the country with some huge bands as a tech..or melting your face with my band Echoes End. I find stuff.Video Games, Comic Books, Toys..I collect certain things and flip the rest. I scour the SouthEast and find Amazing things practically every day.